Have you ever thought about how many emails and texts you send each day? Have you thought about how each message impacts your influence? Every email or text is an opportunity to stand out from the crowd and grow your influence. On the downside, each message also introduces an opportunity to be misinterpreted, to damage your reputation and to negate your influence. Welcome to the new world of business, where your influence is always on display. Your emails and texts are just a drop in a sea of electronic communication. You need to think through the impact, or lack thereof, of each text or email. 89 billion business emails are sent worldwide each day. The average corporate email user sends and receives between 105 and 125 email messages per day. That’s an astounding number, and it doesn’t even include text messages. 67 percent of business professionals use text messaging for business-related communication. Of those professionals, 72 percent text with internal co-workers and 51 percent text with external contacts such as customers, prospects and vendors. More than 33 percent of sales professionals say they have closed a business deal via text. Business has stopped talking and started texting. People’s response to your emails and texts is based on past experience with your messages. Perhaps your emails are long and confusing, or your text messages are one continuous paragraph rather than brief sentences. Maybe your messages are so abbreviated they might as well be written in Morse code. Perhaps you include people who don’t need to be involved in the discussion. 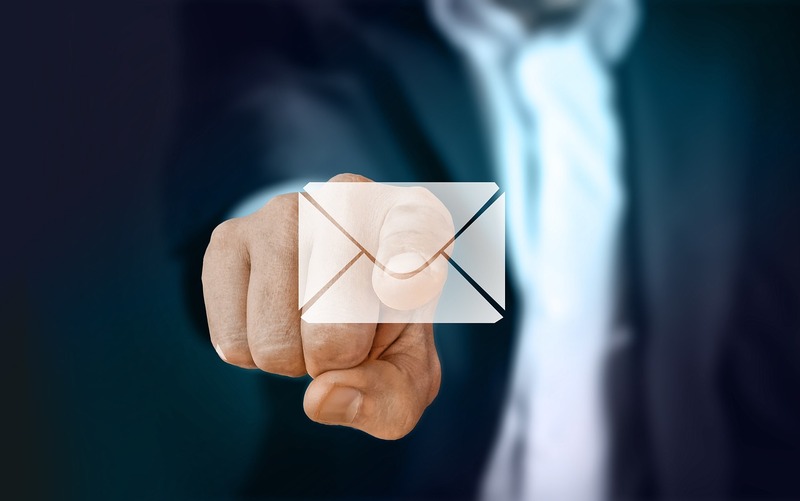 Rather than giving your emails and texts the attention you want them to have, your reader’s response may be, “Ugh, I don’t have time right now to deal with this.” Poorly written email and text messages jeopardize your influence. If your messages aren’t read, you can’t have influence. Assume your messages are being read even when you don’t receive a response. USE ALL CAPS in the subject line of your emails to try to grab readers’ attention. Send another email or text to make sure your reader received the first one. Send your message to the appropriate readers. How many times have you been copied with the entire company? Do your homework by identifying who REALLY needs to receive your message. Be specific in explaining why you’re sending the message and the value to your receiver. Less is more, especially when composing an email message. Avoid the risk of using too many words, words that are out of context or fillers. If your receiver is like most, they are bombarded daily with email messages. Avoid creating the reputation that your style means long, wordy messages that waste time. Use bullet points to express your key points. Make sure you have enough white space in your message to avoid message overload, forcing your reader to strain their eyes. Leave the details for the attachment, but only include an attachment when it is absolutely necessary. Be clear, concise and to the point. Respect your reader’s time. Challenge yourself to only use bullet points to communicate key ideas, recommendations and action steps. Ask a trusted peer to review your message and provide feedback on what you need to edit. Create a compelling subject line. This should be the last step you take before hitting “send.” Your subject line needs to grab attention and raise curiosity for your reader to take the first call to action: opening your message. Think about how effective billboards grab your attention. This is the same concept. How many “forward” messages are too many? I’m guessing you have gotten lost in a message that is forwarded an unlimited amount of times. There is such a long string of messages attached to the original message that you can’t even navigate your way to the beginning. Avoid being the person who takes the easy way out by simply hitting “reply” to everyone in this long thread of messages. Identify again who REALLY needs to receive your messages. The answer may be to create a new message with a compelling subject line. Hang up the email or text and pick up the phone. Make an effort to call individuals rather than sending an email or text. Even if you have to leave a voicemail, you lessen the risk of miscommunication. You can follow up with an email or text for documentation. When in doubt – if you’re concerned about how your email message may be interpreted – have a face-to-face conversation, if possible, or pick up the phone. Review before you send. Your reputation enters your receiver’s inbox before you hit “send.” That’s why you should always review your messages for grammatical and spelling errors. If you worry about how your message will be perceived, ask a trusted friend or peer to review your message and give you constructive feedback. Before you hit “send,” ask yourself, “Would I open this message if it were sent to me?” If your answer is “no,” go back and edit, delete and clarify to increase the chances your reader will not only respond but will act on your recommendations. Think before you send a message: Would a face-to-face or phone conversation be more influential?